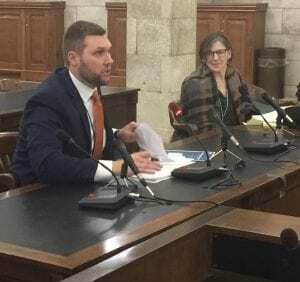 NJBIA’s Andrew Musick was invited to testify before members of the Senate Economic Growth and Assembly Commerce and Economic Development Committees regarding New Jersey’s Economic Development Strategy. Please read below for his testimony. Testifying before members of the Senate Economic Growth and Assembly Commerce and Economic Development Committees on March 8. On behalf of our member companies that provide more than 1 million jobs in the state and make the New Jersey Business & Industry Association the largest statewide business association in the country, we appreciate the opportunity to submit testimony in regards to New Jersey’s economic development strategy and its impact on business. 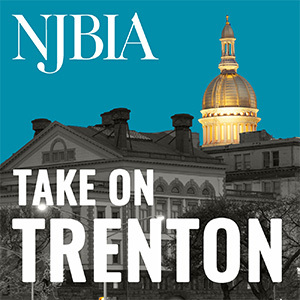 An updated NJBIA study once again finds New Jersey with the most challenging business climate in the region. This is attributed to the Garden State having the highest tax rates in the region; including, the top income tax rate, top corporate tax rate, state sales tax rate, and property tax rate. All of these rates make us the least competitive state in our region. There are many great qualities that attract businesses to New Jersey, such as our highly educated workforce and accessibility to major markets, like New York City and Philadelphia. However, the high cost of doing business and high cost of living serve as a barrier to entry into our state. As such, tax incentives play a key role in keeping New Jersey competitive with surrounding states. Across the nation, states utilize economic development incentives to create and retain jobs, and to encourage companies to relocate and expand within their borders. However, comparing state to state tax incentives can be a difficult task, as states tailor and create incentives based on their individualized economic characteristics, and the cost of doing business in their particular state. Ultimately, these investments create additional employment opportunities for residents, who, in turn, support a healthy, growing economy. New Jersey is no different. Our innovative economic development incentive programs position the state to “come out on top” in an extremely competitive environment by enticing companies to relocate, expand and invest within our borders versus a regional competitor. New Jersey is a very costly state. Therefore, economic development incentives are an essential tool to help level the financial playing field between states. These incentives help to offset economic obstacles, such as high taxes and a high cost of living, to make New Jersey more competitive and affordable. The State revamped its programs with the “Economic Opportunity Act of 2013,” taking great care to make sure that the incentives provided would deliver the promised benefits. As a result, New Jersey’s incentives are all performance-based. Companies have to earn their benefits by generating new tax revenue and satisfying all job and capital investment requirements. If the jobs created or retained drop below the required amount, the company is no longer awarded the credit. Furthermore, the program has a strict net benefits test which requires that revenues raised as a result of incentives generate at least 110 percent of the cost of the tax credit. Nonetheless, as economic conditions continue to improve and past investments continue to take shape, there is always room to analyze and redefine the state’s economic development incentives. Policymakers are currently examining the Grow New Jersey Assistance (Grow NJ) and Economic Redevelopment and Growth (ERG) programs that expire on June 30, 2019. NJBIA believes that responsible tax incentives play a key role in our economic development strategy to attract and retain both large and small businesses. It should be our goal as a state to become a regional, national, and world leader in retention and attraction of business. Additionally, NJBIA continues to support transparency, along with sufficient monitoring and oversight of these programs to ensure that the state is getting the most back for its investments. Moving forward, NJBIA is committed to creating a business climate that drives economic growth and job creation here in New Jersey and we look forward to working with you in this endeavor. We thank you for the opportunity to submit testimony and for your consideration of our views. Should you have any questions or need further information, please feel free to contact me directly at 609-858-9512.